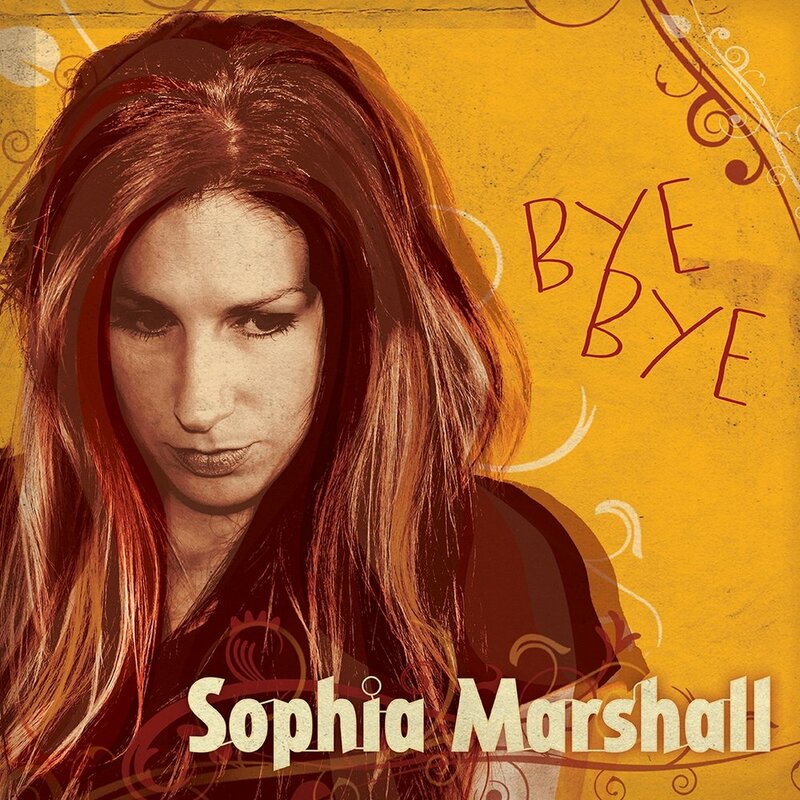 BYE BYE is the debut full length solo release from English singer-songwriter Sophia Marshall and unwraps as a highly desirable record. Its stylish façade and steely interior presents an artist with an acute ear to formulating a sound successful in alerting many a discerning listener. The album refuses to adopt a static stance, with its half hour duration keeping folks on alert to which way the music is going to turn. Sophia does a good job in keeping the sound and vocals internationally neutral thus you never really grasp whether it’s majoring on her English roots or the obvious Americana pretensions. This trait helps create a door-opening niche. Sophia first crossed my path when she played an invited set at this year’s Maverick festival as part of the AMA UK Friday evening showcase. On that occasion, it was her previous material as a member of the Have Nots that made the most initial impact. This is probably due to any new songs not featuring a killer instant hook, which is confirmed by listening intensely to the nine tracks forming this album. However, this should not detract listeners from grasping the overriding vibes of the music and mining deep into Sophia’s classy style. All nine tracks possess original status with all but one being solo written. Lead single ‘Losing You’ is the exception with Sophia teaming up with band partner Liam Dullaghan. Checking out this track via its posted video is a good taster to the album, although it resides more on the conventional side rather than those where Sophia edges into experimental territory. ‘Catch Me’ is the song that arouses the listener’s curiosity with a crackly and scratchy vocal presence projected by some enhanced amplification for the final part. Largely, the beautiful vocal range of Sophia is one of the album’s redeeming features, hitting the high notes with effect. This gives the album a folk-tinge akin to some of the iconic female voices who have soared to the heights of the genre on both sides of the Atlantic. Remaining with the folk tendencies for a moment, an original acapella sea shanty brings the album to an unexpected close. ‘Drunken Sailor’ possesses all the aura of a gospel-blues piece and seals the diversity to a tee. This is in stark contrast to the jaunty opener ‘Bye Bye’ with its pop-infused beat and jangly guitars. There is an uncanny resemblance to Frazey Ford in the vocals and this falls into place when reading more about Sophia’s background including a support slot for the Be Good Tanyas. This track could quite easily have been the chosen song to promote the album. Following the album’s fairly upbeat start, we soon head into passive haunting territory with ‘Sarah’s Room’ and the sensitive ‘Flares’. By the time we get to ‘Beauty Sleep’, the tender style has been cracked and any thoughts about the opening two lively numbers defining the album have been trashed. Perhaps this is why the album hangs around long enough to garner sufficient listens to grasp its worth. ‘Hey Al, Woah!’ is another interesting track in the penultimate running order position and its alternative edge adds value. ‘Missing Piece’ is a slightly more upbeat offering and its central positioning gives the album a degree of balance. This is assuming a listener doesn’t cherry pick from a digital standpoint. Personally, it is felt that the album doesn’t court this approach and thirty minutes is hardly an exhaustive listening time. BYE BYE is an assured body of work and acts as a card marker for folks aiming high with their music selection. Sophia Marshall, as a solo performer, is a welcome addition to the UK music scene and reaches out to many quarters from the cultured outer edge of pop to the hardened core of electric roots.